Now that Facebook will include users’ Web behavior to fine-tune targeting, it’s only a matter of time before it expands its ad network to outside publishers, according to marketing experts. Facebook has said that it will gather Web surfing data on users to help advertisers understand interests—and of course make messages more relevant. Left unsaid, however, is that the latest step advances the broader goal of online ad dominance, which could lead to a Facebook business that rivals Google. “They could start advertising off Facebook with an ad network that has better targeting,” one ad tech executive said. Facebook will start using Web behavior—say, a user researching smartphones—and incorporate that data into the equation that determines what ad shows in the News Feed. The next logical step is to use that behavior to serve ads to any publisher's site outside the social network, marketing experts said. Facebook already has expanded the reach of its ad business with its mobile audience network, which lets select app publishers sell space to Facebook advertisers. A more robust Facebook ad network on mobile and desktop to challenge Google’s AdWords has long been anticipated, however. “They still have a ways to go, but if they want to target ads beyond Facebook properties, they need Web behavior like Google,” a digital agency insider said. Advertisers still see search as the closest point between a consumer and a checkout line. However, the new Web tracking gives Facebook a chance to show that its ads are as effective at driving purchases, according to marketing partners. SocialCode works closely with Facebook to help consumer product brands target ads in the News Feed, and svp of marketing Max Kalehoff said that has been a challenge. “Fairly or unfairly, Google is able to grab credit for all that commerce,” he said. 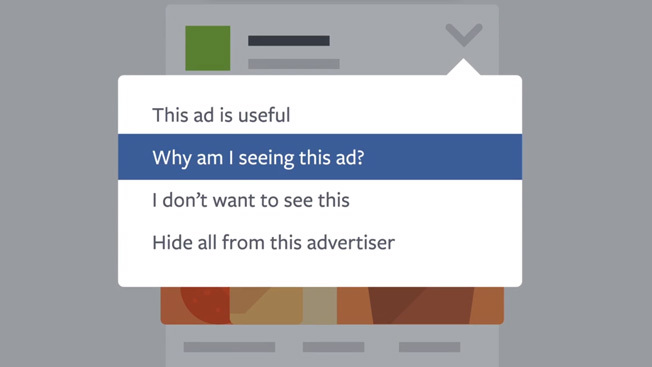 One statistic SocialCode points to is that 90 percent of users who make a purchase after seeing a Facebook ad never actually engaged with the ad—meaning it worked but there was no click to record it. Facebook is changing that perception with better third-party reporting from firms like Datalogix. SocialCode recently said that a major retailer saw a 2.5 times higher sales lift when serving ads to the mobile News Feed as opposed to desktop. Targeting Facebook users who are most receptive to the ads positively impacts clickthrough rates, according to Adam Berke, CMO of AdRoll, a Facebook marketing partner. AdRoll helps advertisers tap their own data on Web users to influence their social campaigns. It recently started retargeting across devices to users who visited a website. Hitting that user in the mobile News Feed encourages clickthrough rates of up to 3 percent, AdRoll said. Facebook has justified its new Web profiling tools on the basis of increasing ad relevance, showing only what a user cares about. That's a key area of concern for the social network as it tries to surface only the most desirable content. Many marketers think that Facebook could have the better opportunity here because where Google excels at intent—with search—the social network is all about interest. Facebook’s new Web data policies have been met with privacy complaints from advocates already wary of the social network. There will be tools that let users opt-out of Web targeting tactics and adjust their preferences. Still, Facebook said it would not comply with Do Not Track options in the Internet Explorer browser.